The Addis Ababa Chamber of Commerce and Sectoral Associations, popularly known as Addis Chamber held its annual General assembly meeting on 25 October 2018, Addis Ababa. The Assembly heard and endorsed the 2010 E.C annual audit reports of the Chamber. The audit report was also presented to the audience by an independent audit firm and the same was endorsed by the Assembly. The Assembly in its 14th Regular session has elected a career banker and company owner Mesenbet Shenkut defeating her challenger Saladin Kelifa by winning 419 ‘Yes’s out of 1050 votes cast. Out of the 11 newly elected members of the Board of Directors 3 are females including the president. Earlier on the occasion, the guest of honor, Abdulfetah Yesuf, head of the Trade Bureau, said in his opening speech that the city government is ready to work with the private sector in compatible way. The government, so far could not afford to furnish all social, economical , infrastructural need of the public at once. Therefore, the private sector must fill the existing gap, Buearu Head said. The government believes that private sector can make a tangible difference in the economic development process of the country given the accumulated human, financial and knowledge resources the private sector has at hand, Abdulfetah added. The City Government remains committed to work in partnership with Addis Chamber in its effort to promote business and investment , he said. The government is working creating more conducive play ground for the business community. In this regard, the proclamation for Chambers’ establishment is to go under revision, the Bureau Head added. According to Abdulfetah, the need for the revision is needed with the view to enabling the chamber achieve modern services to the rate of international standards, he added. 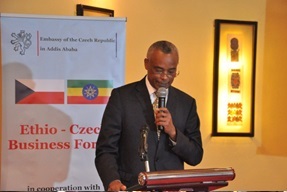 Ethio-Czech Business Forum kicked off in Addis Ababa. A delegation of Czech companies led by H.E. Mr. Vladimír Bärtl, Deputy Minister of Industry and Trade of the Czech Republic visited Ethiopia for two days, aiming at establishing and/or enhancing bilateral ties between the private sectors of both countries in the respective field. Czech businesspersons are interested to invest in various investment sectors in Ethiopia. This was disclosed by Mr. Ilja Mazanek, Chairman of foreign Section of the Czech Chamber of Commerce, at the Ethio-Czech Business forum that held at the Hilton Addis on May 15, 2018. Representatives from the Czech and Ethiopian businesspersons took part in the business forum. The main objective of the forum jointly organized by the Addis Ababa Chamber of commerce and sectoral Association and the Czech Embassy in Ethiopia is to boost trade and investment ties between the two countries. Speaking during the occasion, President of the Addis Ababa Chamber of Commerce and Sectoral Associations, Mr. Elias Geneti said Ethiopia and the Czech Republic should strengthen trade and investment in order to exploit the huge potentials in their countries. He said business communities of both sides need to refresh their potentials and resources to make use of the opportunities laid out in this business forum as part of enhancing the trade and investment partnership. Trade volume between the two countries during the period, 2012-2017, is worth around USD 118 million. Although the trade balance significantly favors the Czech’s where its export to Ethiopia exceeds its import by USD of 100 million during the same periods, the trade relations still remains very low compared to the potential and our import and export trade experience with several other countries we have, He said. According to Elias, the current trade and economic relations between the two countries are not to the satisfactory level. Mr. Vladimír Bärtl, Deputy Minister of Industry and Trade of the Czech Republic said on his part increasing trade and investment based on the mutual benefits is essential. The governments of both countries should create a conducive environment for investors and the amount of trade and investment between countries should be further boosted, the Deputy Minister added. The two countries have close to a century old political and economic relations. However, one cannot find it to the expected magnitude. However; it is a matter of fact that the two countries have been proceeding with cultural and social aspects for many years. The relationship between Ethiopia and the Czech Republic is one of the oldest in the history. One of the most recognized and gratefully remembered by all Ethiopians is the support extended by the Czechs during the Fascist invasion of Ethiopia back in 1930’s. Archives and documents reveal that a man from Czech arrived at the hinterland of Ethiopia, probably one of the earliest European to make his journey to Ethiopia. The Czech Missionary, Vaclav Remedius Prutky made a journey to Ethiopia during the first half of the eighteenth century to discover the source of the Blue Nile. Following the formal diplomatic ties of the two countries in 1955, the then Czechoslovak government and its people did not hesitate to share their knowledge and expertise to their fellow Ethiopians. The case in point was the construction of the first ammunition Factory in Addis Ababa, construction of Melka-Wakena dam, a textile factory in Kombolcha, brewery plants in Harar and Bedelle as well as the development of vineyards among others. Addis Ababa University and Addis Ababa Chamber of Commerce and Sectoral Associations are on the verge to establish a collaborative engagement to contribute to private sector development in Ethiopia. Chamber distinguishes some modalities of engagement with the university at the initial phase. 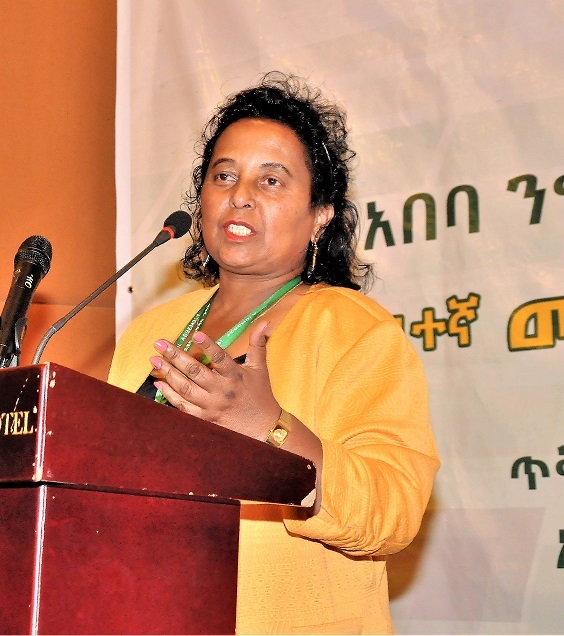 Organizing joint workshops (national and international) on thematic issues such as on trade policy, economic forums, etc, training, panel discussions, and seminars are some of the focuses of the partnership said Getachew Regassa, Secretary General of AACCSA. According to the Secretary General Conducting surveys on selected research topics (as mutually agreed) as well as creating opportunities in linking researchers results of the University with the business companies and the private sector at large for effective implementation also the interventions included in the modality. Ato Shibeshi Bettemariam on his part said AACCSA and AAU will work for hand in hand to assist prospective graduates on ways and means of getting access to companies’ data for their thesis and graduation papers. Engaging in the capacity building of the chamber and sharing experiences on specific areas such as on value additive certification of the Addis Chamber Training Institute is also one area of cooperation, he added. The two parties will sign MOU momentarily and prepare annual operation plans/implementation plans on the basis of the MOU. Addis Ababa Chamber of Commerce and Sectoral Associations is going to commence its TV program called “Addis Chamber Television” on Addis Television. After reaching an agreement involving officials of the Chamber and Addis Television, the Chamber is said to start its program this month every Sunday from 10:00 AM -10:30 AM in the morning. The Chamber’s TV program aims at advocating in favor of improved business and investment climate, building capacities of companies through providing information vital for building the sustainable business and enhancing their competitiveness, promoting the principles and practices of good corporate governance, promoting small businesses, and women and youth entrepreneurship, among others. The chamber’s TV program will be on air for once in a week for 30 minutes. Addis Chamber TV contains four program formats; namely, the Ethiopia Business Report, CEO’s Forum, current Business affairs and Voice of the Private Sector. Preparation has already been underway with the view to successfully accomplishing international fairs of Tourism and Travel as well as Agriculture and Food. The couple International fairs in addition to serving to promote goods and services of participating companies will give way for networking, cross-sharing of experiences and good practices. Accordingly, local and foreign companies are already signing up, According to Abraham H/Mariam who is the Director of Trade and Investment Promotion Department said. Abraham called on the local food processors, to take advantage of the 11th International Agriculture and Food Trade Fair, in order to introduce their products to the international markets and establish foreign buyers and partners. In relation to the 6th Tourism and Travel International Trade Fair, as part of advancing national tourist business, Regional Tourism Bureaus are invited to promote their tourist attraction and potentials, the manager said. The twin events will be open 10-14 may, 2018, it was learned.